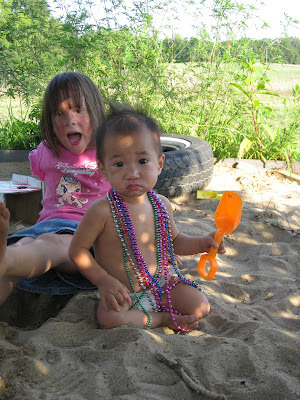 The kids introduced Ephraim to the sandbox today. 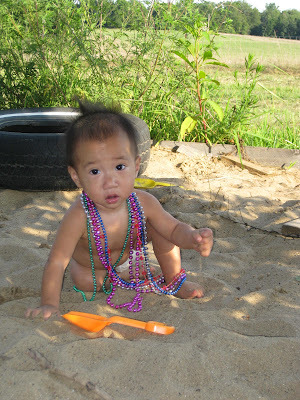 When I saw him sitting in the sandbox, I had visions of eyes, hair and stomach filled with sand, but I was surprised. 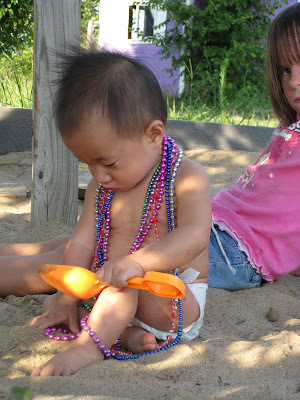 Ephraim sat quietly in the sandbox digging with his shovel, grabbing handfuls of sand and letting it run through his fingers. He didn't even try to eat it! 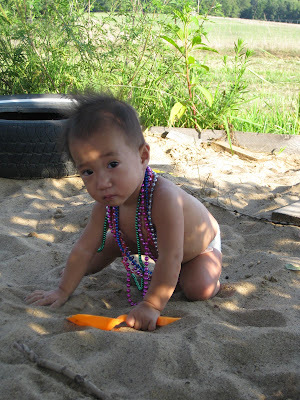 He sat in the sand for well over an hour happily playing. Of course he got a long bath afterwards! As you can tell from the pictures, the little girls have fun using Ephraim for dress up. 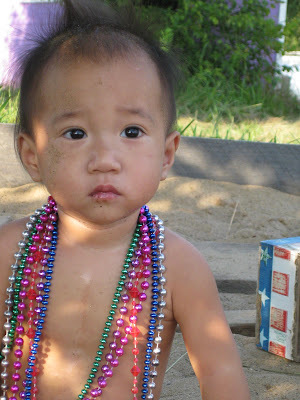 I'm not quite sure what he was supposed to be with the Mardi Gras beads, but he thought the loud, clangy beads were entertaining.